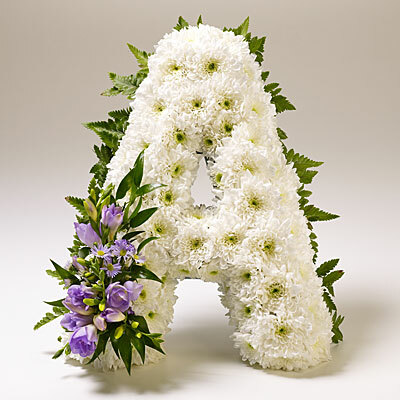 Funeral lettering is seen at most funerals and usually forms the centrepiece of the funeral tributes. 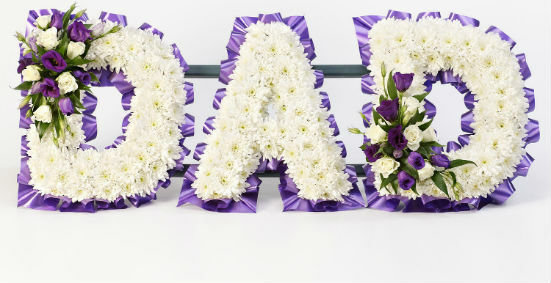 Usually sent by close family members the flowers usually spell out the relationship of the deceased ie MOTHER, DAD, SISTER, UNCLE etc or names and nicknames the deceased may have been fondly known by. 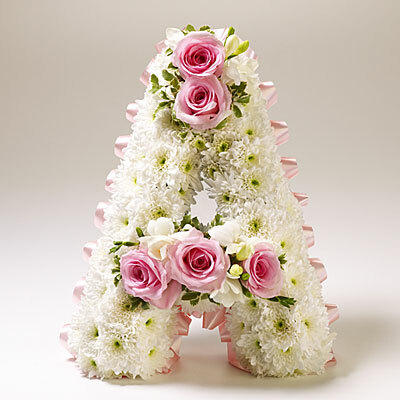 Your choice of letters with be arranged by a skilled florist and mounted on a frame. 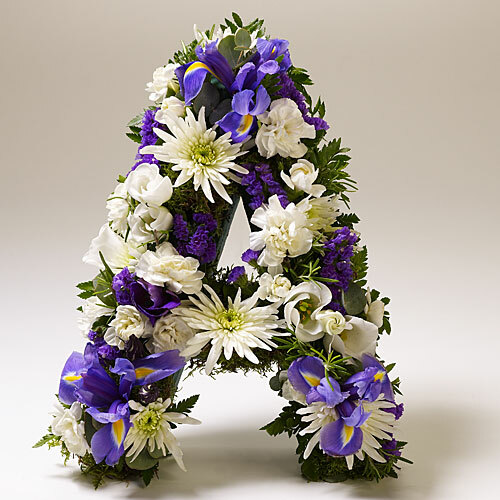 Lettering tributes are mounted on a frame. 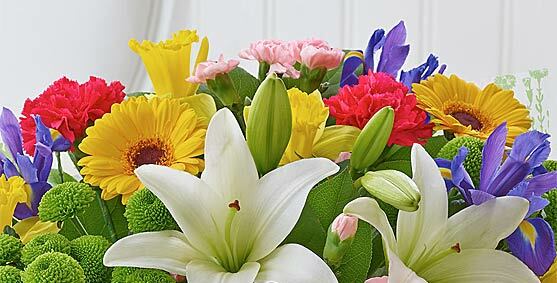 This makes the tribute rigid, easy to lift and stands the tribute at the correct angle. 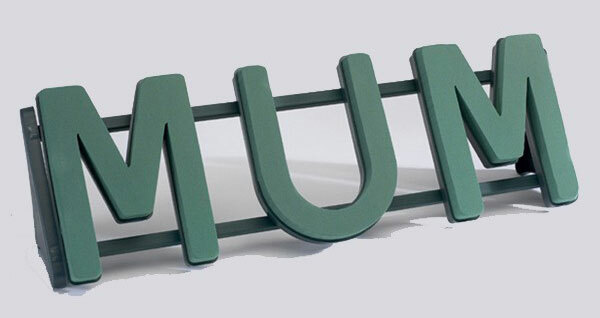 Oasis floristry foam letters are clipped to the frame and spaced accordingly. Trimming (massed style lettering) and flowers are added to the Oasis by the florist to complete the tribuste.